Serbian opposite hitter Dušan Petković is heading to PGE Skra Bełchatów, Italian media reported. Serbia national team player Dušan Petković is close to signing with PGE Skra Bełchatów, the 2019 CEV Champions League semifinalists. Petković finished the season as the best scorer of an Italian SuperLega Credem Banca (590 points) while defending the colors of Globo Banca Popolare del Frusinate Sora. 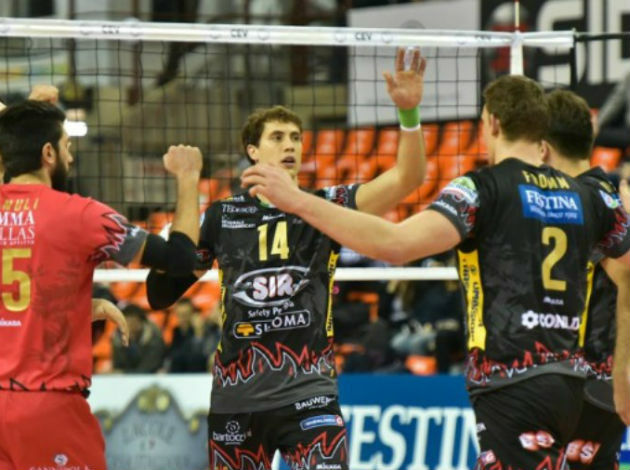 Skra did not make anything official on this but it reasonable knowing that, at the moment, all of their strength is focused on the second leg of the Champions League semifinals against Cucine Lube Civitanova (first leg 0-3). 1 Comments about "POL M: Italian Championship best scorer could be heading to Skra"
Like Petkovic, such a super opposite, why not play in the national team of Serbia instead of Luburić. Re: @Fan Volleyball because Luburic is better than Atanachokesevic and Petkovic.